Wind down with some of Greece’s best wines in the scenic countryside of the Attica region; a sweet escape from the city buzz and a unique chance to appreciate the wealth of the Greek wines. Join us for a private wine tasting experience near Athens and see Greek wine-making at its best! Visit an environmentally-friendly winery in Attica and discover the aromatics of local grape varieties as they are voiced through a range of well-cared-for wines. Pair your wine tasting with Greek sides to enhance the experience of your palate and let yourself indulge in the convivial atmosphere of the place! The service from greeking.me was excellent! We visited a family run winery and were driven there in a very comfortable vehicle. The visit was informative and the wine very tasty. We were shown around by the owner's wife who was very friendly and knowledgeable. I would recommend greeking.me as they made the whole process smooth and hassle free. 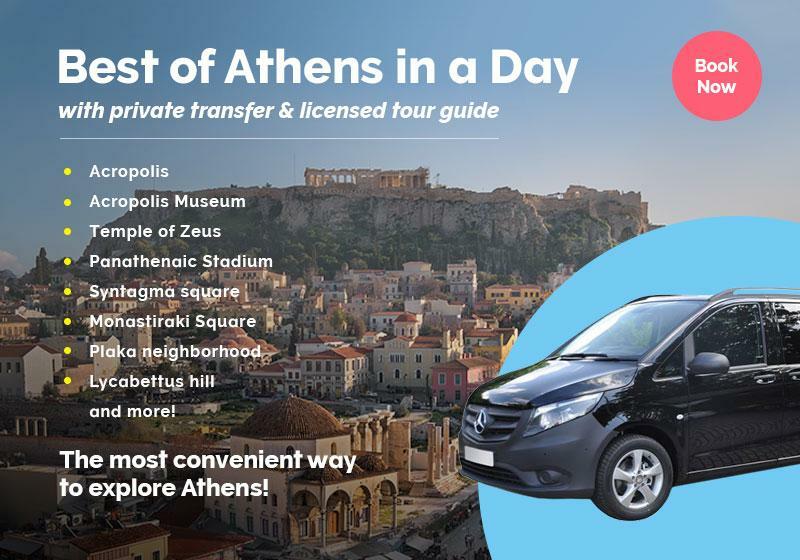 I contacted GreekingMe for a winery tour in Athens. Christina guided me to this amazing tour. The wine specialist was extremely knowledgeable and answered all of my questions. We tasted 5 of their wines (two red, two white and one dessert wine) and the whole experience is highly recommended. This is a great way to spend 3 hours away from Athens, especially if you are wine lover! Our driver was Petros - he is a very interesting person to talk with. The winery is located about 30' away from the center and allow yourself about 1,5 hour in order to enjoy a nice walk and the tasting of 5 different varieties. Not even an hour away from Athens city center, you will find yourself in a historical vineyard close to the Attica coastline. Whether you are a wine connoisseur or just a traveler looking for local flavors, this wine-tasting experience will fully cover your expectations. Get to see a winery with a long history since 1919 and wine-making facilities constructed according to innovative bioclimatic standards. You will taste five different wines and you will match them with the Greek delicacies served, such as local cheeses, olives and rusks. Let a professional wine specialist introduce you to local grape ranges and help you taste on your own what makes the Greek wine so special. You will be directed step by step how to recognize the different aromas of local wine varieties and you will come to see that Greek wine is like the people of this land: authentic and passionate. Prepare yourself for an exciting walk & don’t forget your hat and sunglasses. Βring along your camera so you can capture the most beautiful spots of the wine tour. Can you pick us from our hotel? The "Athens Winery & Wine Tasting Tour" is available as a private tour, in order to further customize your experience to fulfill your specific needs & expectations. Simply tell us your preferences in the booking form below.